Sports spirit and extremely light sole. A featherweight sneaker, designed with mixed leather. Includes insole made in leather, padded inside and black laces. Your new ally. Versatile and stylish. 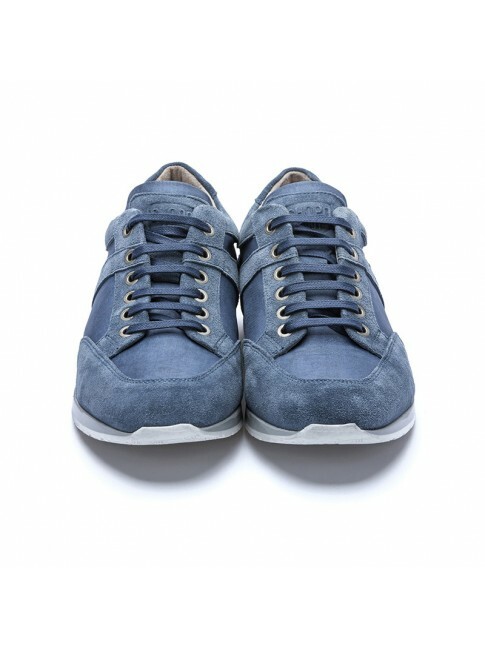 Our leather sneaker, with round toe-end, stands out for its extremely light sole. Padded inside, laces with same leather colour and mix of textures. When it starts getting cold, it is very important to be well-equipped. Black derby leather with blue reflections. Round toe and extremely light sole. When it starts getting cold, it is very important to be well-equipped. Black derby leather with burgundy reflections. Round toe and extremely light sole. We take really seriously the simplicity. Black suede derby shoes with blue details in sole and binding. Lace-up shoe with round toe. Think what you are capable of doing. And do it. Suede derby shoes with blue details in sole and binding. Leather colour. Lace-up shoe with round toe. 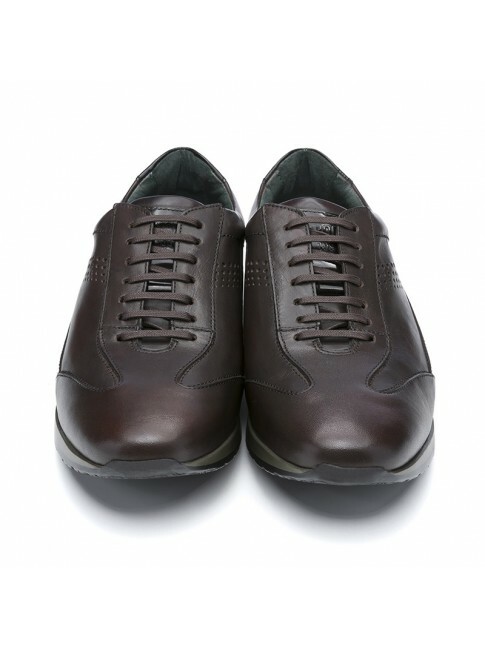 Dress sneaker made 100% leather. Black colour with rubber sole and special toe-cap. Perforated details on its sides. 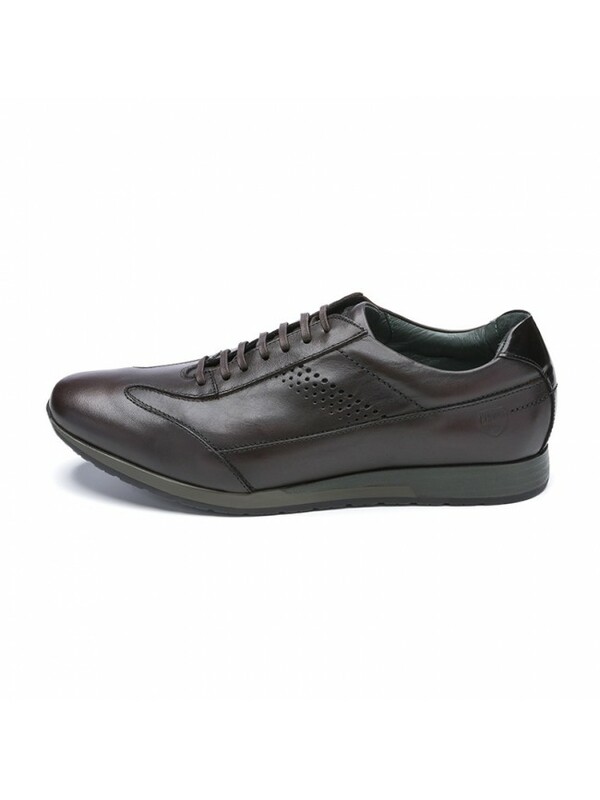 Dress sneaker made 100% leather. Brown colour with rubber sole and special toe-cap. Perforated details on its sides. Our sneakers made in leather, with an extremely light sole will become in your new favourite footwear. Authentic and indomitable, these are the successors of the tap shoes. Our brown and white Oxford are the ideal shoes. Sole and decorative perforations in English style. Our sneakers made in leather seem from the future. Wearing these sneakers you will be perfect in any occasion. 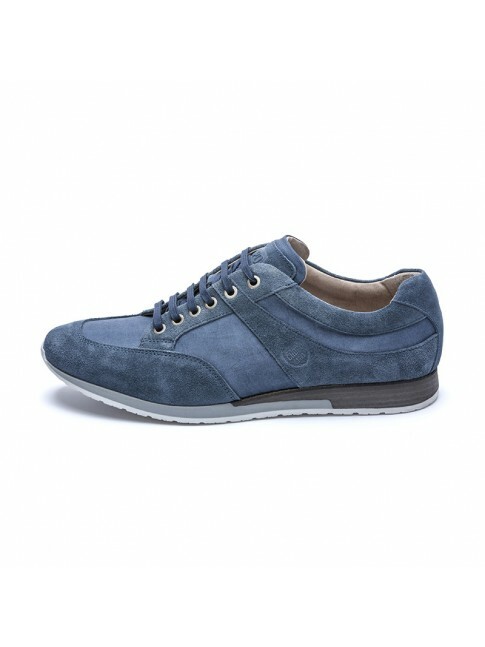 If you wear our sneakers made in leather with a pair of jeans and a shirt, you will discover a perfect outfit. Make us confidence, we know about what we are speaking. Blue navy colour is always a success. Stylish, sophisticated and up-to-date in just a pair of shoes. We know. They are not any pair of shoes. But, the question is: are you any man? If your answer is NO, add them to your shopping cart and finish your purchase. These Oxford shoes can only be loved. These are the perfect accomplices for these men with a touch of sophistication. Our total brown sneakers catches the attention of everybody. Claim your casual side. Suede leather blucher with brocade detail. Made of leather inside and outside. Round toe-end and fastening with laces. Ready to conquer the asphalt. Grey brown blucher with brocades making contrast. Made of cow hide, fastening with laces and Extremely Light sole for a great comfort. Contrast colours shoes, round toe-end and cow hide leather. Rubber sole and fastening with laces for greater comfort. Personality in three colours.